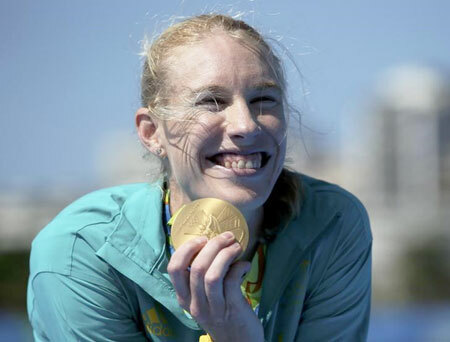 Australian Olympic champion rower Kim Brennan has spoken of her deep disappointment that her integrity as a clean athlete has been called into question over a shot of adrenaline administered in a medical emergency. Williams sisters let off by WADA despite positive dope test? Brennan, who won gold in the single skulls at the Rio Olympics, was one of 11 athletes whose medical data was leaked on Friday by a Russian hacking group, which is known as APT28 and Fancy Bear by US cyber-security researchers. The TUE authorises her to carry an EpiPen, the lifesaving allergy treatment. "This administration of adrenaline was in no way performance enhancing. I was seriously ill following this hospitalisation and I am upset I have to justify in the public domain my personal medical records." The other Australian rower whose records were leaked on Friday, Rio silver medallist Alexander "Sasha" Belonogoff, also carries an EpiPen because of a food allergy, Rowing Australia said. WADA has said it believes the hackers gained access to itsanti-doping administration and management system (ADAMS) via anIOC-created account for the Rio Games.